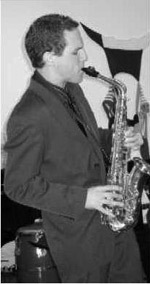 Mike Albertson is an alto saxophonist and high school music teacher in New York City. After growing up just outside of Albany, Mike studied saxophone with Paul Evoskevich at The College of Saint Rose. He recently earned his masters degree in education from the Aaron Copland School of Music at Queens College.